Whether you have joined the growing number of telecommuters tapping away online from home, need a handy desk in the kitchen to manage your family’s grocery budget, require a quiet study space in a disused pantry for intense concentration, or simply need a workstation in view of the family room so you can keep your young students on task, home offices are a practical and welcome addition to many households. 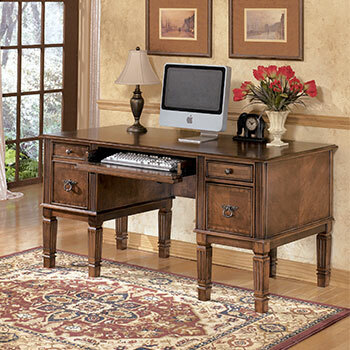 Come to Memphis, TN’s premier discount furniture showroom to find the home office furniture perfect for your tasks, and at prices that won’t put a big dent in your monthly budget. 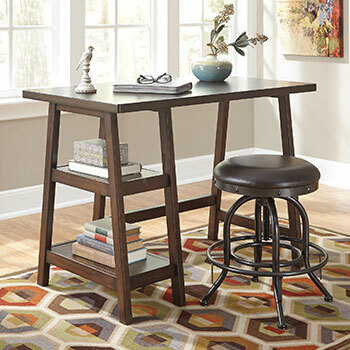 Choose from among more than 35 home office deskoptions from minimalist tables to park your laptop and your homework to fine midsize wood writing desks, some with elegant hutches for extra storage. 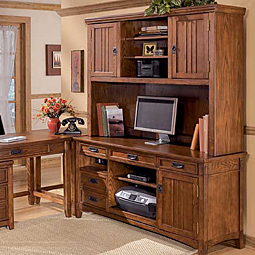 Home office deskstyles range from colonial to rustic to modern and angular, some with glass tops. Our bookcase with desk return is an ingenious space-saving idea, as are our L-shaped desks for challenging spaces such as corners. Sold on the idea of working all day standing to prevent the ill effects of sedentary living? 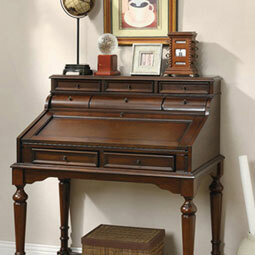 Try one of our adjustable height desks. Some of you have learned the hard way: even in the digital age, always back up your work, and paper will be with us for the foreseeable future. That’s why Memphis Furniture offers you fine options for home office credenzas, some with hutches for added distinction in your room’s décor. Combine several of our pieces, such as a handsome wood computer desk, L-shaped addition, and credenza, with either the desk or the credenza sporting the hutch, and you have an impressive dedicated office that happens to be at home but is fit for meeting patients and clients. At Memphis Furniture, by offering beautiful furniture at discounts, we specialize in making happy households for customers like you. 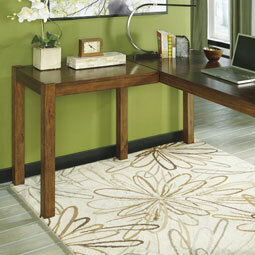 Yes, you CAN afford the home office furnitureyou really want but thought out of reach. Stop by our Memphis, TN store soon and we will make it happen!